Judith M. Burnfield, Ph.D., P.T. 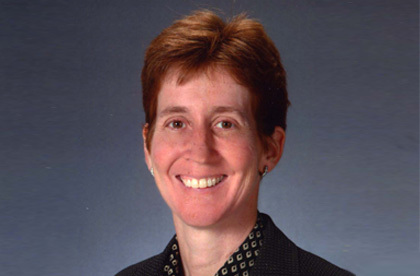 Judith M. Burnfield, Ph.D., P.T., is Director of the Institute for Rehabilitation Science and Engineering, Director of the Movement and Neurosciences Center and the Clifton Chair in Physical Therapy and Movement Sciences at Madonna Rehabilitation Hospital. Dr. Burnfield earned her Ph.D. in Biokinesiology from the University of Southern California and completed her post doctoral training at the Pathokinesiology Laboratory at Rancho Los Amigos National Rehabilitation Center. Dr. Burnfield holds adjunct faculty appointments at Creighton University, the University of Nebraska - Lincoln, University of Nebraska Medical Center, University of South Dakota, and University of Southern California. Dr. Burnfield's research aims to 1) enhance the independence and quality of life of individuals with and without disabilities, emphasizing locomotive disorders such as gait; 2) prevent secondary medical complications in persons with chronic medical conditions; and 3) expand physical therapists’ capacity to meet existing, evolving, and future societal health care needs through development and application of clinical innovations and technology. Her teaching emphasis includes normal and pathologic gait, orthotics, prosthetics and biomechanics. Burnfield JM, Shu Y, Taylor AP, Buster TW, Nelson CA (2011). Rehabilitation and Exercise Machine.U.S. Patent 8,007,405. Burnfield JM, Shu Y, Taylor AP, Buster TW, Nelson CA (2012). Rehabilitation and Exercise Machine. U.S. Patent 8,177,688 B2. Burnfield JM, Taylor AP, Buster TW, Nelson CA, Shu Y (2014). Improved Rehabilitation and Exercise Machine. Canadian Patent 2,776,626. Perry J, Burnfield JM (2010). Gait Analysis, Normal and Pathologic Function, 2nd Edition. Slack: Thorofare, NJ. Koch Fager S, Burnfield JM (2014). Patients’ experiences with technology during inpatient rehabilitation: opportunities to support independence and therapeutic engagement. Disability and Rehabilitation: Assistive Technology, 9(2):121-127: DOI: 10.3109/17483107.2013.787124 . Perry J, Burnfield JM, Newsam CJ, Conley P (2004). Energy expenditure and gait characteristics of a person with bilateral amputations walking with the "C-Leg" compared to stubby and conventional articulating prostheses. Archives of Physical Medicine and Rehabilitation, 85(10):1711-1717. Burnfield JM, Cesar GM, Buster TW, Pfeifer CM, Anglehart CM, Klem CJ, Dasgupta P, Nelson CA (2018). Perceived value of modular self-reconfigurable robot for reaching/retrieving by individuals with SCI. Archives of Physical Medicine and Rehabilitation, 99(12):e209-210. DOI: https://doi.org/10.1016/j.apmr.2018.09.063. Huang C-K, Buster TW, Siu K-C, Burnfield JM (2018). Combining virtual reality gaming with motor-assisted elliptical impacts children’s engagement in exercise. Archives of Physical Medicine and Rehabilitation, 99(12):e195. DOI: https://doi.org/10.1016/j.apmr.2018.09.020. Burnfield JM, Irons SL, Buster TW (2016). Individual with progressive supranuclear palsy demonstrates improvements in walking distance and efficiency following a motor-assisted elliptical training intervention [Abstract]. Conference proceedings, 9th World Congress for Neurorehabilitation. Philadelphia, PA, May 12, 2016. Song P, Linstrom K, Boye J, Kulig K, Burnfield JM, Bashford G. Tendinopathy Discrimination Using Spatial Frequency Parameters and Artificial Neural Networks. Proceedings, 2009 IEEE International Ultrasonics Symposium - Roma. Corbridge LM, Goldman AJ, Shu Y, Buster TW, Burnfield JM (2009). Clinician's Muscle Effort During Partial Body Weight Support Treadmill Training: Is it Hard Work? Presented, American Physical Therapy Association's 2009 Annual Conference and Exposition. Goldman AJ, Corbridge LM, Buster TW, Burnfield JM (2009). Partial Body Weight Support Treadmill Training During the Acute Phase of Stroke Recovery: Impact of Training Speed on Non-Hemiparetic Limb Stride Characteristics and Muscle Demands. Presented, American Physical Therapy Association's 2009 Annual Conference and Exposition. Buster TW, Goldman AJ, Corbridge LM, Shu Y, Burnfield JM (2009). Partial Body Weight Support Treadmill Training: Clinician's Upper Extremity Muscle Activation During Facilitation of Hemiparetic Limb Movement. Proceedings, 2009 Gait and Clinical Movement Analysis Society 14th Annual Meeting. Terryberry-Spohr, L, Fager, S, Burnfield, JM (2007). A multidisciplinary approach to providing services across the healthcare continuum for persons with traumatic brain injury. Part I - Prevention and early intervention of mild tbi and concussion: Part II - New augmentative and alternative communication options for persons with severe traumatic brain injury; Part III - Maximizing opportunities for participation, function, and health following discharge. Proceedings of the 5th Annual American Medical Rehabilitation Providers Educational Conference. Burnfield JM, Buster TW, Takahashi S (2007). Increased Diabetic Risk for Individuals with Disabilities - A Need for Adaptations and Monitoring. CDC's 30th Diabetes Translation Conference - Looking Back and Moving Forward, Abstract Book. Whitney JA, Burnfield JM, Few CD, Taji SS, O'Hara M, Perry J (2004). Influence of custom inserts on plantar pressures during ambulation in persons at risk for ulceration secondary to diabetes mellitus. Journal of Geriatric Physical Therapy, 26(3), pg. 37. Farrokhi S, Kulig K, Burnfield JM, Powers CM (2002). In vivo assessment of the lumbar spine's instantaneous axes of rotation in symptomatic and asymptomatic subjects. Proceedings of the World Congress of Biomechanics 2002. Burnfield JM, Lim P, Flynn JE, Brault J, Powers CM (2001). Comparison of utilized coefficient of friction requirements between males and females during shod walking at different speeds. Proceedings - American Academy of Forensic Sciences, vol. 7, pgs. 92-93. Flynn JE, Underwood D, Powers CM, Burnfield JM, Brault J (2001). An evaluation of the reproducibility of data obtained from two types of tribometers when measuring the slip resistance of walkway surfaces. Proceedings - American Academy of Forensic Sciences, vol. 7, pg. 94. Burnfield JM. Enhancing walking and cardiovascular fitness following a brain injury: Evidenced-based approaches for use in the rehabilitation setting and community. 2011 Brain Injury Association of Greater Kansas City Conference. Kansas City, KS. To be presented March 31, 2011. Burnfield JM. Observational Gait Analysis – Enhancing Patient Outcomes by Focusing on the Fundamentals. Clinical Doctorate in Physical Therapy Program, Creighton University. Omaha, NE. Presented June 2010; June 2009; June 2008; June 2007 (two, half day seminars each year). Burnfield JM. Observational Gait Analysis - Enhancing Patient Outcomes by Focusing on the Fundamentals. Clinical Doctorate in Physical Therapy Program, Creighton University. Omaha, NE. June 2009, June 2008, June 2007 (one day seminar). Burnfield JM. Applied Observational Gait Analysis: A Systematic, Evidence Based Approach to Enhance Patient Outcomes. Kansas American Physical Therapy Association's Annual Meeting. Wichita, KS. April 3-4, 2009. Burnfield JM. Promoting physical fitness from acute care to the community: When just walking isn't an option. American Physical Therapy Association's 2008 Annual Conference and Exposition. San Antonio, TX. June 2008 (3 hour course). Burnfield JM. Updated Guidelines for the George Blanton Research Grant - Basic Strategies for Designing a Strong Clinical Study. Nebraska Physical Therapy Association Annual Meeting. Lincoln, NE. October 2007. Burnfield JM. Observational Gait Analysis - A Systematic, Evidence-based Approach. Creighton University. Omaha, NE. July 2007 (one day course for clinicians from across the United States). Burnfield JM. Observational Gait Analysis: The Rancho Method. Board of the Canadian Physiotherapy Association - Manitoba Branch. Winnipeg, Manitoba, Canada. May, 2002.